I did indeed recently listen to a typical half-hour talk by Shaykh Hamza entitled Tolerance A Hallmark Of Muslim Character. There were, typically, quotes and references to many others, and there were also some rather controversial statements in there that not everyone will agree with. Despite this, the overall sentiments are something that I hold to be universally true. With that in mind, here are 9 quotes from this lecture, which is well worth a listen. Enjoy! As Muslims we have lost a sense of our historical role, of what we are supposed to be doing…Many of us are so afraid to speak out against what is wrong, but the Muslim voice is a voice that needs to be heard. As an individual if somebody tells you something, before you condemn it or make a judgment you attempt to understand it. And this is something that is part of our usool, part of the usool of the Muslims, the methodology of the Muslims is to understand what your interlocutor, the person that you are speaking with, is actually saying. Before you condemn what he says you have to understand what he says. And this is why listening is part of the Muslim character. If you do not listen attentively, the Qur’an when it speaks to us it tells us to listen attentively, if you do not listen attentively to the person that you’re speaking to then you won’t be able to understand what they’re saying. We always have to remember as individuals, as Muslims, when we speak to each other we have to speak to each other knowing that we have an enemy that is waiting to bring something between us, a wedge, we have to be aware of that. Before you attack somebody else, you have to look at yourself. Sometimes we think perhaps that the Muslims have become more tolerant at the state level for other religions than they have for Islam itself. In fact if you look at some of the Muslim countries, we have countries where the hijab is not tolerated but a woman to dress like a secular western woman is tolerated, and an example of that is Turkey, and we’re going to have a sister [speaking later on] from Turkey who was thrown out of the parliament even though she was democratically elected because she wore a hijab. So there’s no tolerance in the Muslim world now for just practicing Islam. So…sometimes we actually become too tolerant about the wrong things and not intolerant enough about the right things. We’re living in dark times and we have to be aware of the times that we’re living in and understand the nature of the times. Islam is a religion that teaches people to be intelligent, it teaches us to think and to deliberate before we act. And this is where we’re lacking, the Muslims are lacking in strategic planning, we’re lacking in strategic planning, we don’t think in long term. We’re people that get angry easily and then our anger subsides and little is done. It’s better to be cool headed in the face of a tribulation and then to act in a way that will benefit the situation, not in a way that will make it worse or won’t change it at all. This is something that the Muslims have to realize: we have to realize as a community and a people that we have to stop being emotional, we have to stop shouting, we have to stop screaming. The demonstrations that we do have very little affect the way that they’re done, they alienate more than they educate. If you want to win people over to your side and your understanding then the vast majority of people are level-headed, and if they see that you’re level headed and that you’re presenting the facts as they are, not hiding them, not white washing them, because we have skeletons in our history, we have persecution in our history, we’ve done things that we should be ashamed of as Muslims. But that in no way taints the truth of our teaching, because you cannot take a teaching and look at what the students of that teaching do and say “That must be from the teaching.” It’s not fair, because sometimes students don’t understand the lesson, sometimes they got it wrong, they didn’t understand what the teacher was saying, and they go out and they do something that ends up disgracing the teacher. Patience is in the first slap, not in the second. Patience is when the tribulation first occurs. That’s real patience. Any time you mention Al-Habib, the heart should yearn to be in the presence of the beloved. Sa’di, the Persian poet, said “What would you say if you were invited to a banquet by the Lord of the Worlds?” And you went to that banquet and you went into this huge banquet hall and you saw all these other guests that were invited to the same banquet by the Lord of the Worlds. He said “How would you treat those guests?” And then he said in his poem “Sa’di knows that every soul on this earth was invited here by the Lord of the Worlds to share in the banquet of life.” This is the way we should look at the earth, we should look at the earth as everyone on it is a guest of God. And there are some guests that misbehave, there are some guests that do terrible things, there are some guests that soil the house, there are some guests that wreak havoc in the house. But they’re all guests of the same generous Lord and all of them have the potential and the ability to rectify their state to make tawbah to Allah…so we should have patience as long as we’re here. And I believe that all of the tribulations that are happening in the Muslim world right now, we should reflect deeply on these tribulations, and first and foremost…turn here because this is the only change that you as an individual can enact initially. But that change, we cannot underestimate the profound impact of that change, we can never underestimate the profound impact of the change of each individual. And so above all we should be intolerant to those qualities in our own selves that Allah dislikes and to be tolerant of those very same qualities in those around us, knowing that they are in a state of tribulation. 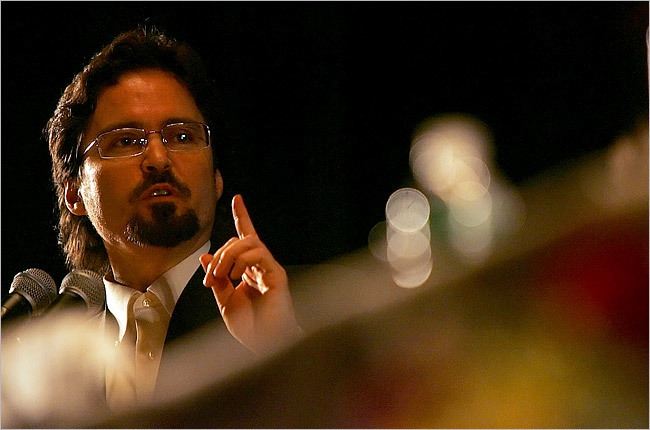 For more quotes from Shaykh Hamza Yusuf please see this previous blog post. Have you read his paper on a similar topic? Many thanks for this link. I will have a read of this, it looks really good.